Want Unlimited Wi-Fi When You're Traveling in Europe? 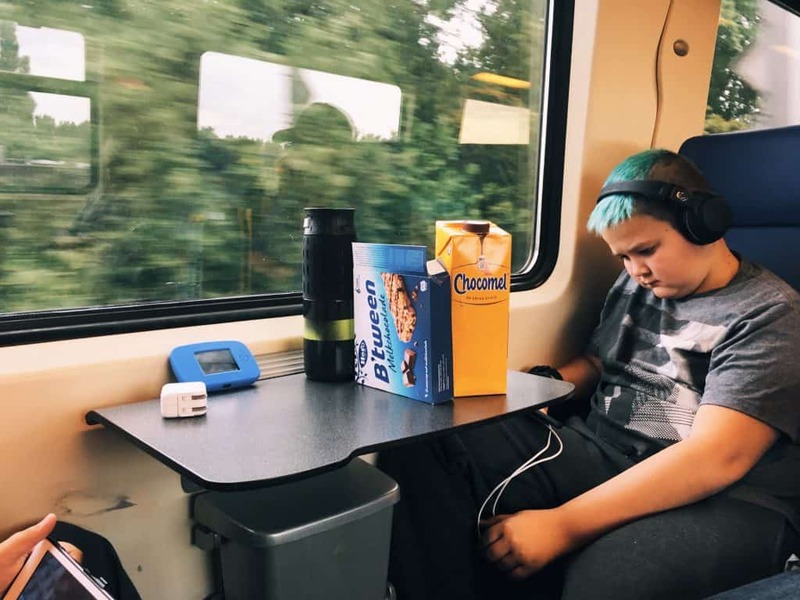 If you work in a field where you need constant Internet access 24/7, or you have to travel abroad for virtually any reason whatsoever, using portable WiFi in Europe can be a real lifesaver. As a blogger, and someone who is constantly on the road, I tend to pay a whole lot of money for mobile Internet access, especially when leaving the country. Sadly, most mobile Internet providers still live in an age where even a low quality, slow online connection would costs a lot of money. Enter TEP – the wireless Internet hotspot that basically saved my life! This eye-catchy catching little device sits comfortably in your pockets and provides you with a steady, great quality reliable connection that doesn’t easily lose its signal regularly drop out. You can take it anywhere you go and avoid paying the huge fees and costs that most providers would charge, even if you just need to connect for five minutes for an emergency. What Is TEP Wireless and What Is It for? TEP is a device that I have been dreaming of ever since my first blogging days many years ago. Even today, when Wi-Fi is everywhere, you might walk into a cafe and find that the connection is relatively inexistent, or ridiculously slow. What TEP does is to even the odds. The device projects a “magical” Wi-Fi field spanning around 15 meters around it, and allows you to connect up to 5 devices at any given time. It can be set up conveniently, and you can set up configure your own a password so other bloggers jealous folks don’t try to steal your connection. Moreover, it’s quite fast for such cheap portable Wi-Fi, offering with constant high-speed 3G and 4G Internet access. What’s TEP Wireless for, and how can it help you? Basically, it’s like carrying your home modem around with you from the US to the most remote corners of Asia. Best of all: it works! The connection is stable and maintains its speed so that you can access video calls, games, or online videos very easily. I found this to be true, since I only really lost connection temporarily a few times while traveling between cities. The battery lasts for up to 8 hours if you use it continuously. It actually lasted me a little longer while I was trying it out, but I have switched it off a couple of times. You can use services like Google Maps, Yelp, or your favorite social media sites without any lags. This was definitely a handy advantage I also found to be true. This travel Internet hotspot can even replace reliable connections you might get in most hotels. I found this to be the case for several hotels I’ve been to, and the only reason why I didn’t always use TEP when other connections were available was to save battery life. Accessing all my emails and blogging apps conveniently on my last vacation to Canada felt amazing. Who says you can’t combine business and pleasure? In fact, with the TEP Wireless, anyone who is used to blogging non-stop and keeping up with the latest news feeds will feel right at home, even during long and previously tedious road trips. 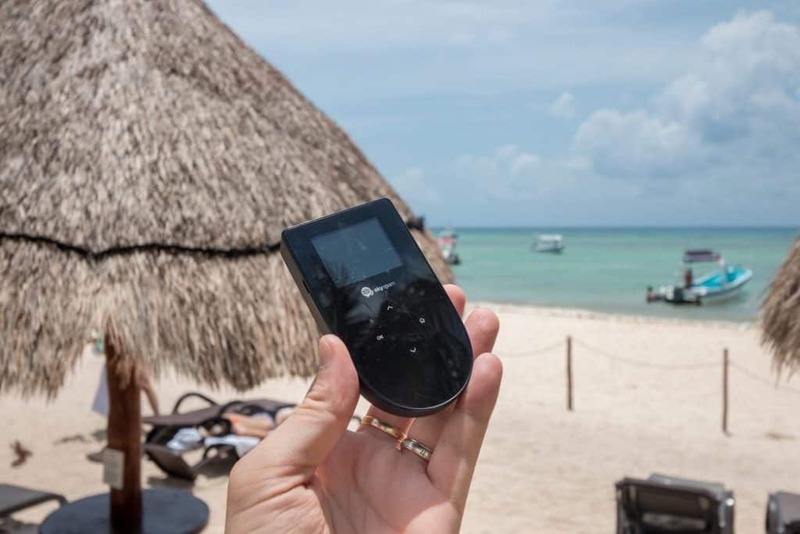 Even if you’re not constantly online or having to deal with running an online business, a hotspot like TEP can still be of great use whenever and wherever you travel. It can be really handy in an emergency, offering convenient online access. Whether you need to access online maps, restaurant reviews, or contact someone at a short notice on social media in order to meet up, this device will come through to save the day. Also, basic activities like checking your email or calling your boss on Skype due to an emergency at work will be much easier to tackle with the TEP travel Wi-Fi hotspot. The speed is adequate, and the connection is supported by some of the leading global mobile Internet providers, so you don’t have to worry about losing your connection. Ordering the pocket Wi-Fi device can be done quickly and without the complicated series of steps you’d have to go through while looking for reliable other Roaming roaming offersproviders. No More Expensive Internet Access! To wrap things up, it’s also important to note that the TEP Wi-Fi hotspot doesn’t cost all that much. There is a single fee you have to pay depending on the total time you’re renting it for, and the longer you need it, the less you pay per day. Affordable, fast, easy to use, and incredibly efficient, TEP Wireless is the only device you will need for setting up your very own quick Internet access hotspot, whether you’re at a 5-star hotel in Sweden, or in a remote village in Brazil. Want to know more? Visit the TEP webpage for more details. Where do you purchase this? And what is the cost? Where can i buy this as Iive in South Africa but plan to travel to Morocco in September. Can u give me a guide price per day for about 20 days? I love your coloumn. Could you also tell me how far The Atlas Mountain Kasbahs are from Marrakech?And can you advise us the cheapest way to get there please.